If you’re a dog owner, the benefits of purchasing your own pair of clippers are numerous. Perhaps the most obvious benefit is the cost: Trips to the groomer add up over the years, and even a set of professional-grade dog clippers can pay for itself after several uses. Furthermore, animals that are fussy or nervous at the groomer’s might be cool as a cucumber when they’re being taken care of at home under their master’s hand. A high-quality set of clippers is also a must-have if your dog has an exceptionally thick coat or other special grooming needs. We’ve thoroughly researched the top dog clippers from the biggest names in the industry and have analyzed hundreds of reviews from professionals and average users alike. As a result, we’ve managed to hunt down the six best dog clippers on the market today so you can properly and safely groom the furry four-legged members of your family right at home. Read more about our methodology. Buyers who want a premium do-it-all set of dog clippers should look no further than the UltraEdge AGC2 Super from Andis. Favored by many professionals, these 2-speed clippers are suitable for the vast majority of coat types and grooming tasks. 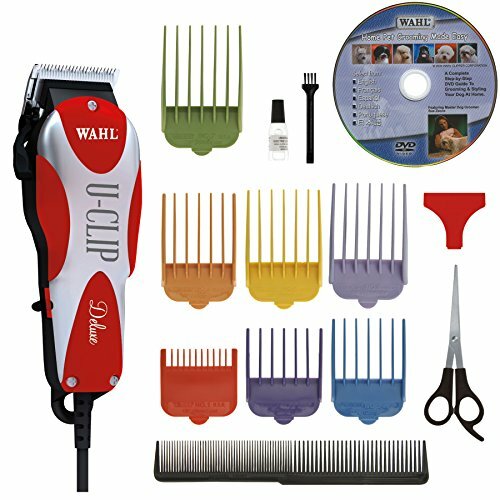 The Wahl U-Clip 16-piece grooming kit is perfect for value-conscious buyers with dogs that have fine to medium coats. At around $35, these powerful and durable U.S.-made clippers will more than pay for themselves after a single grooming session. Another standout product from Wahl, the Bravura cordless clippers feature a 5,000 spm motor and an impressive 90-minute run time. These are the clear choice for buyers who want premium clippers but don’t want to be tied to an outlet. A heavy-duty pair of 5-speed clippers is a must for thick coats or matted fur, and the Andis Power Groom+ delivers. A break-resistant housing, tangle-free cord, and powerful motor make these beefy clippers the best choice for the toughest coats. For an all-in-one grooming kit that won’t break the bank, consider this bundle from ShineMore. With cordless clippers, a nail file, shears, a steel comb, and nail clippers, this set contains everything needed to keep your little buddy looking great. Oster A5s have been favored by pros for decades, and it’s easy to see why: A two-speed motor, time-tested blade system, and heavy-duty build put the A5 Turbo at the top of the list for anybody looking for professional-grade clippers. The heart of your dog clippers is the motor. This determines the power and speed of the unit, measured in strokes or rotations per minute (SPM or RPM). Clippers generally feature one-, two-, or five-speed settings, with two speeds being the most common. A good motor ensures that the clippers run quietly and stay cool for extended periods of time so that the blades do not get too hot and potentially hurt your dog. Professionals tend to favor two- and five-speed clippers. 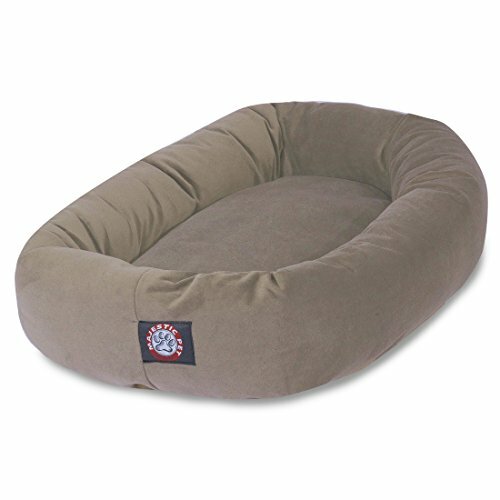 These provide more options for different types of coats, and higher speed settings are necessary for dogs with longer or thicker fur. Even with these more difficult coats, however, lower speed settings are still needed for trimming around sensitive areas such as the face and groin. The two primary quality considerations for clipper blades are sharpness and durability. Blades should cut evenly, not irritate or hurt your dog’s skin, and should not require frequent sharpening. Clipper blades come in many sizes to groom different coat types and different parts of the dog. Special attachments also serve specific purposes, such as skip tooth blades for rough pre-cuts, fine-tooth blades for finish cuts, and wide T-blades for bigger dogs. Steel and ceramic are the most common blade materials, and both have their advantages. Steel is extremely durable but heats up more quickly during extended use and when the clipper motor is running at high speeds. Ceramic stays sharper for longer and remains cooler, but is more fragile than steel. Some blades also contain unique materials or coatings, including silver for anti-microbial properties, chrome for corrosion resistance, or carbon for increased edge retention. Dog clippers come in both corded and cordless varieties. Generally speaking, cordless clipper motors are less powerful due to their reduced energy consumption. This, combined with their limited battery life, makes cordless units most suitable for basic trims rather than full grooming. The most powerful professional-grade dog clippers are almost always corded. Stronger variable-speed motors naturally require more power to deliver the higher speeds necessary for handling thick coats, and as cordless clippers will only last about an hour before slowing down, corded units are needed for longer grooming jobs. Dog clippers range in price from around $25 for basic units to as high as $200 for heavy-duty professional-quality models. For $25-60, you can get a solid but basic set, but clippers at this price point usually don’t feature variable speed settings or the highest-quality blades. Moving up the price spectrum will net you extras like variable speeds and better blades, both of which let you get the job done more quickly and cleanly. For the best dog clippers (that is, the ones favored by professional groomers) expect to pay anywhere between $120 and $200 depending on speed settings and blade types. Around $120-$150 is the “sweet spot” for professional-grade 2-speed clippers, whereas the beefiest 5-speed units will cost a bit more at around $170-$200. Attachments are another cost consideration, as you may have to purchase extra blades to suit your dog’s specific needs. Brand-name blades can set you back anywhere from $20 to $40 each depending on size and materials. Andis is among the most trusted names in the world of professional dog grooming and the UltraEdge AGC2 Super is its flagship model. This 2-speed dog clipper ramps up to 4,400 strokes per minute for quickly slicing through the toughest coats and is compatible with a wide variety of Andis and Oster blades to tackle any cutting task. Its durable shatter-proof housing and long heavy-duty cord should also provide many years of regular use. Powerful and quiet 2-speed rotary motor. The AGC2 Super’s 2-speed rotary motor can run at either 3,400 or 4,400 strokes per minute, providing plenty of versatility for grooming jobs big and small. The motor also runs quietly for its power so the clippers should not startle your dog, which can lead to injury. Compatible with a wide range of blades. The AGC2 Super includes a SuperEdge #10 steel blade and is compatible with the entire line of Andis blades as well as Oster A5 blades. This gives you a wide variety of size, length, and material options to suit your preferences and grooming needs. Heavy-duty 14-foot cord. Compared to most clippers which use 8- to 10-foot power cords, the AGC2 Super comes with a longer 14-foot cord. This heavy-duty power cable is also thick and durable and should provide many years of life. Durable and made in the USA. These clippers are manufactured in the USA and this clearly shows in the build quality. Along with its heavy-duty cord, the AGC2 Super features a break-proof housing designed to withstand the bumps and falls that dog clippers are likely to endure. Blade can get hot during long sessions. The drawback to a heavy-duty set of clippers like this is that the blade can get hot during extended sessions. Andis offers cooling oil for use in these cases, and it may also be worthwhile to buy a second blade to switch out mid-grooming if necessary. Fairly expensive. At around $150, the Andis AGC2 Super dog clippers do not come cheap. Extra blades are also fairly costly at $20-40 a piece, which will quickly add to the cost if you need different blades for multiple dogs. But in the long run, grooming your dogs at home can save you a fortune. Wahl is a household name when it comes to budget-friendly American-made hair clippers. The U-Clip 16-piece dog grooming set is no exception to this pedigree, and people with dogs who have fine to medium coats will be well-served with these clippers. At this price, the U-Clip kit easily pays for itself after one full trim, making it the perfect choice for buyers looking for dog clippers that are both high-value and high-quality. Powerful motor. The U-Clip clippers use Wahl’s own “Super Shunt” motor design which runs at 7,200 strokes per minute, delivering more than enough speed to handle all but the toughest coats. Despite its power, the motor still runs quietly enough so as not to scare or irritate your pup. Excellent value for money. This 16-piece kit includes one of the highest-value dog clippers on the market considering its power and versatility, and should more than pay for itself after one use. The set also includes scissors, a comb, seven blade guards, an apron, and an instructional DVD. Made in the USA. Like many in the Wahl lineup, these dog clippers are manufactured in the USA. This is especially impressive given the low price of the U-Clip kit, and the excellent build construction of the clippers should ensure years of regular use. Adjustable steel blade. Instead of a detachable blade, the Wahl U-Clip features a single adjustable blade that can be set at #10, #15, and #30 lengths. This serves as a 3-in-1 system that mitigates or even eliminates the need to purchase extra attachments which add to the cost. Only one speed setting. The U-Clip’s Super Shunt motor is powerful and efficient, but runs at only one speed – 7,200 spm. This may not be ideal for certain tasks where lower power is preferred, such as for clipping around sensitive areas like the dog’s face, feet, and groin. The obvious advantage of cordless dog clippers is their convenience, letting you cut the wires and give your pup a trim without keeping you tangled up or tied to a power outlet. These clippers are great for quick grooming jobs and touch-ups when larger or more powerful tools aren’t necessary. Just bear in mind that cordless clippers aren’t the best for full cuts, longer grooming sessions, trimming multiple dogs at once, and for animals with long or thick fur, where the limited battery life and lower power may not be sufficient to get the job done. With a 90-minute run time, the Wahl Bravura is easily the best set of cordless dog clippers available today. Unlike many cordless models, the Bravura does not suffer from slowdown thanks to its Constant Speed Control, which is vital for longer jobs so that the blade does not bind and hurt your pet. These features, combined with a 5-in-1 adjustable blade and 5,000 spm motor, place the Wahl Bravura a cut above the cordless competition. Long 90-minute cordless run time. Along with freeing you from being tied to a power outlet, the Bravura’s lithium-ion battery delivers 90 minutes of continuous power without slow down thanks to Wahl’s Constant Speed Control technology. 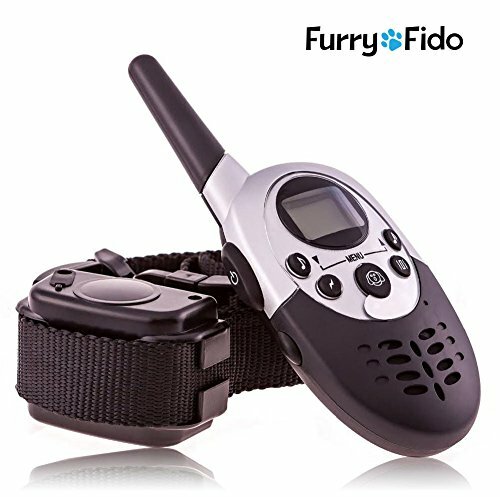 Other cordless units often start to slow down at around the 60-minute mark, which can cause the blade to get bogged down in your dog’s fur. Powerful and efficient motor. The Bravura’s motor is powerful and efficient, delivering 5,000 strokes per minute which is more than enough cutting speed to handle most grooming jobs. In spite of this, the motor keeps the blades quite cool during extended use compared to many corded models which run noticeably hotter. 5-in-1 adjustable blade. 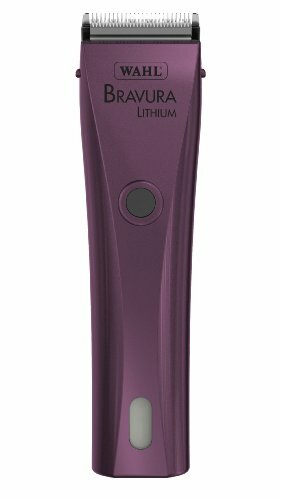 Like many Wahl clippers, the Bravura features an adjustable blade rather than the traditional detachable design. This blade offers five different settings – #9, #10, #15, #30 and #40 – giving you between 0 and 2mm of trimming length. The clippers also come with six blade guards for longer cuts. Quality European construction. The clipper unit itself is manufactured in Hungary while the blades are made in Germany. 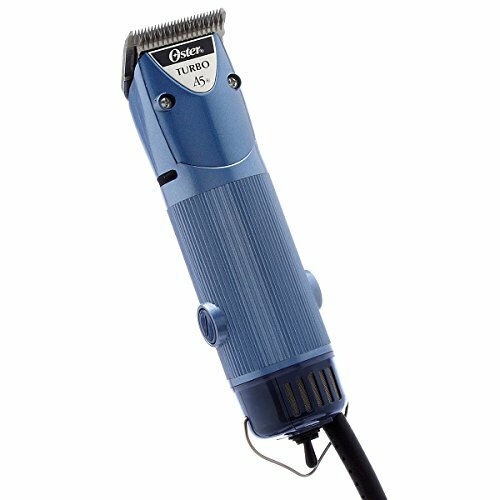 As one would expect from Wahl, the Bravura clippers are well-made, thoughtfully designed, and built to last a long time. Blades are quite thin. Compared to professional-grade blades like those made by Andis and Oster, the Bravura’s blades are rather thin. These may dull more quickly than others, so it’s recommended to oil them regularly during use (roughly every 15 minutes or so) which will extend their lifespan and keep them cutting smoothly. Not inexpensive. The Wahl Bravura is a premium set of dog clippers and will set you back roughly $150. Although this may cause sticker shock, the 5-in-1 adjustable blade does offset the cost a bit, and the clippers should last a long time with proper use and care. As one would expect, the best dog clippers for thick coats are the largest and most powerful. Key things to look for in these heavy-duty clippers are interchangeable steel or ceramic blades, variable speeds (generally two to five-speed settings rather than just one), and more powerful motors capable of delivering around 4,000 to 5,000 strokes per minute. These features let these clippers make easy work of thick, long, or matted fur without generating too much noise and without the blades heating up too quickly. Tough grooming jobs require tough clippers. 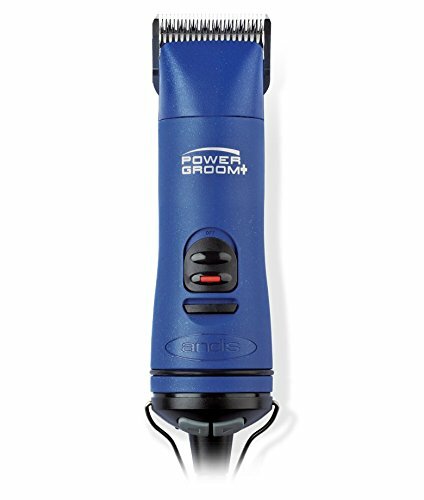 The aptly-named Andis Power Groom+ is up to the task with its heavy-duty 5-speed motor and over-built break-resistant housing. The rotary motor delivers speeds of between 2,500 and 5,000 spm to easily handle cutting tasks big and small, and the clippers are compatible with the entire family of Andis and Oster A5-style blades. When others just can’t cut it, call in the Andis Power Groom+. Five-speed motor handles virtually any task. The Power Groom+ utilizes a rugged 5-speed motor that delivers between 2,500 and 5,000 strokes per minute. The higher settings are great for cutting through rough, thick, or matted fur, but the lower settings are needed for finer coats and for safely trimming sensitive parts of the body. Wide blade compatibility. These clippers utilize the same detachable blade system as other professional-grade models. The versatile Power Groom+ is compatible with both Oster A5 blades and the entire Andis family, including the UltraEdge, CeramicEdge, and ShowEdge lines. Very durable build. These heavy-duty dog clippers boast a beefy housing to match the powerful motor. The shatter-resistant housing protects the unit against bumps and drops, while the 14-foot heavy-duty cord features a convenient swivel design that prevents it from getting tangled and damaged. Built-in speed memory. The Power Groom+ has a built-in memory feature that “remembers” the speed it was last set on before being turned off. This lets you start it back up at the setting you last had it on, which is an under-rated convenience when you find yourself frequently putting down the clippers during a busy grooming session. Can convert to cordless with AGR battery pack. Although wired, these clippers can make use of the Andis AGR battery pack (sold separately) to work cordlessly. Note, however, that this limits you to a single speed as the setting switch is located on the cord pack that comes with the unit. Blades get hot. Owing to the powerful motor, it should come as no surprise that the Power Groom+ can heat up after awhile. Cooling spray, spare blades, or Andis CeramicEdge blades are highly recommended if using these clippers for extended periods of time. Fairly large and heavy. Also to be expected with a set of clippers of this power is that they are bulky compared to other models. Some users, particularly those with smaller hands, might find the wide barrel-like housing and 1-pound weight tiring after awhile. When shopping for clippers, it’s easy to overlook the other tools that you will want to have on hand to properly groom your dog. Luckily, some dog clippers come with complete kits that give you virtually everything needed for you to fully groom and primp your furry friend. Along with a good pair of clippers, these bundles include extras such as combs, nail clippers, nail files, and shears, as well as extra attachments for the clippers themselves. When researching dog clippers, it’s easy to forget about the other tools you might need to keep your pet looking clean and tidy. 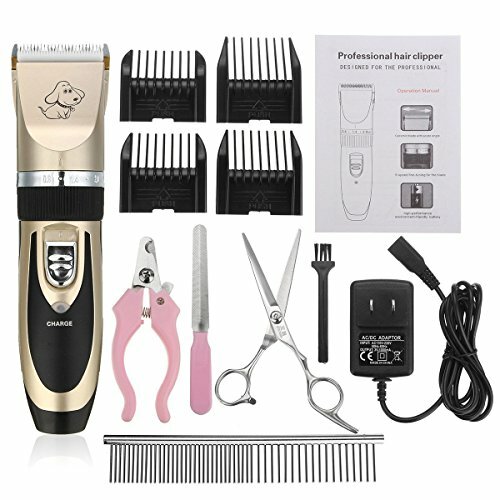 The ShineMore pet grooming kit has you covered: Along with a quality pair of cordless clippers, this set contains a nail file, a steel comb, trimming shears, and nail clippers specifically designed for safe animal use, giving you everything you need to pamper your furry family members in a single package. High-value grooming bundle. The ShineMore clipper kit gives you everything you need to fully groom and pamper your pet, and does it affordably. At around $26, this bundle represents an excellent value. The included tools are also well-made for the price and are not cheap throw-away junk. Adjustable titanium and ceramic blades. The clippers themselves are surprisingly high-quality for their low cost. The clippers look nice, feel nice, are easy to operate, and feature titanium and ceramic blades which stay sharp and cool. The blades also adjust to between 0.8 and 2mm – a nice touch at this price point. Convenient cordless design. The ShineMore clippers are battery-operated for convenient cordless use. The internal lithium-ion battery is also more reliable and long-lasting compared to the inferior NiMH batteries often found on cheap electronics. Not for heavy grooming jobs. The ShineMore clippers, while good for the price, are not as heavily-built or powerful as others on this list. These clippers are definitely not designed for use on thick coats, larger animals, or for extended cutting sessions, and users who need something suitable for these should invest in a better model. If you want top-of-the-line clippers for grooming your dog then it makes sense to go with what the pros use. While fairly expensive, professional-grade dog clippers boast the most features, highest-quality steel or ceramic blades, and quieter motors than most cheaper units. These models are generally corded due to their increased power requirements and offer variable speed settings as well as multiple blade attachments for handling all types of fur coats. Buyers who have multiple dogs or pooches with difficult grooming needs will be well-served with a set of top-quality professional clippers. Along with Andis, Oster is the other name most trusted among professional groomers around the world, and the top-selling A5 Turbo is the leader of the Oster pack. Its powerful 2-speed motor makes short work of virtually all grooming tasks set before it, and the clippers are compatible with a wide variety of Andis and Oster blade types (the system itself being originally designed by Oster), making them versatile enough for almost any job. Powerful 2-speed rotary motor. The heart of the Oster A5 Turbo is a 2-speed rotary motor capable of running at 3,000 and 4,000 strokes per minute. The high setting should be more than sufficient for all but the toughest coats, while the low setting is a nice sweet spot for easier jobs and for trimming around sensitive areas. Versatile detachable blade system. Oster designed the original detachable blades still used by professional-grade clippers today and this versatile modular system has stood the test of time. The A5 Turbo can use all Oster A5 blades as well as the Andis family of attachments, giving you a set of cutting options to suit your needs and preferences. Good value for professional-grade clippers. While not exactly cheap, the A5 Turbos are quite affordable compared to similar competing models. Coming in at around $100-130, these clippers represent a solid value relative to their high quality and suitability for professional use. Made in the USA. Oster is a classic brand that has thankfully kept the manufacture of many of its products in the U.S. As one would expect of American-made clippers designed for professionals, the A5 Turbo is solidly built and should provide years of continuous use. Blades are prone to getting hot. As with other powerful pro-grade dog clippers, the A5 Turbo’s motor tends to heat up the blades a bit during prolonged use. Cooling sprays and spare blades are always recommended during extended cutting jobs to keep the clippers cool and your pet happy and comfortable.